I love a lot of makeup brands, but mostly they're the ones that everyone else loves. 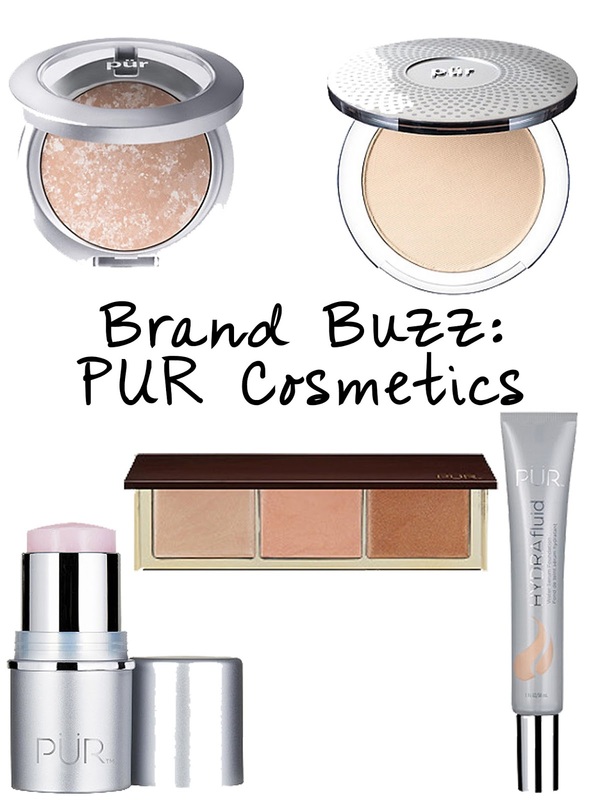 I'm not against trying new brands, and this is how I came across PUR Cosmetics. PUR was always around, and I always saw it in stores & online. It used to be known as PUR Minerals, but has gone through a rebrand recently, and that's how PUR Cosmetics was born. I discovered them around 1-2 years ago, because I was contacted by them, and they asked if I wanted to try one of their new products, and that was the Cameo Contour stick. Soon after, I was placed on their PR list & started to receive more goodies from them. That's a real dream come true; being contacted by a huge brand and receiving their products for free! Since then, I've bought a lot of PUR products and haven't received a lot, but that's fine because I like the products so much, I'm 100% willingly to pay for them. I've tried some great products, some good products, and some not so good products from the brand, and I've been wanting to tell you all about it for a while. HydraFluid Foundation: I've talked about this in the past, but it really is such a good foundation & something that made me really love the brand. It's has a super liquid consistency, but is medium coverage & is buildable. It's so lightweight on the skin, and makes the skin look airbrushed. The most appealing part of this is the fact that it's light weight and very easy to blend, mostly because of the water base. This is for sure one of my favorite foundations, ever. HydraGel Lift: I'm obsessed with this product! I had a similar under eye cooling gel thing, but after using this one, I threw the other one out. This is super smooth without being tacky or too watery. It hydrates the under-eye and also preps the under-eye for concealer. It's a must-have in my opinion and one of the best under-eye products I own. 4-in-1 Pressed Mineral Powder Foundation: This was the first powder foundation I tried and it was got me hooked on the stuff! It's very smooth, gives really nice light-medium coverage, and doesn't cake up on the skin. You can wear it alone, or layer it over a liquid foundation to set it. My favorite way to wear powder foundation is to apply a BB Cream or Tinted Moisturizer and then dust this powder foundation on top. It gets an A+ in my book! Strobe Palette in Sunkissed: When these were released over the summer, during the height of my cream product obsession, I purchased it right from my phone. I couldn't wait to get this baby in my hands and it was worth every penny. In my eyes, it's a bronzer, blush, and highlight, but you can definitely inter-change these shades based on your skin tone. They're not too greasy, which is something you can run into with cream products. They're the perfect consistency to blend and buff into the skin with a duo-fiber brush! Balancing Act Oil Control Powder: I by no means have oily skin but sometimes some oil breaks through. I have a sample of this, and one day I was out and had this in my bag. I applied it to my t-zone with a mini brush and I was in shock at how it transformed my skin. Now, this is my go-to powder and it's something I never would've thought I'd like, because like I said, I don't have oily skin. Well, we all get oily sometimes and this is a good powder for everyone, no matter the skin type. It doesn't dry me out or look cakey. It's an awesome powder. I haven't tried everything from the brand, but these are my favorites of what I have tried. Below, shop some of my most coveted PUR Cosmetics products. What is your favorite underrated beauty brand?